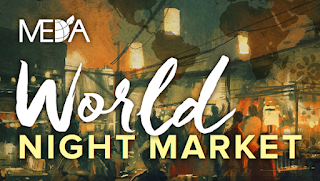 On Friday, May 19 downtown Lancaster held the MEDA World Night Market. Members of the Cultures Club were encouraged to visit. By attending the event students would become a verified member of the Cultures Club this school year. MEDA (Mennonite Economic Development Associates) is an organization that helps to create business opportunities to poverty stricken countries is in charge of the event. For student to get credit for appearing at the World Night Market they could go on a scavenger hunt. The scavenger hunt required going to the different tents set up as countries from around the world and taking a picture at them. After finishing the scavenger hunt students were to show the pictures to Mrs. Lindsay Shehan (advisor of the Cultures Club) the next day at school as proof that they attended the event. The different stands were selling foods from the respective countries that they were representing and there were raffles to enter. Yesterday, as Americans celebrated Memorial Day. Right here in Strasburg, people from all over gathered together to celebrate this day with the annual Memorial Day Parade. This year marks the 70th year that Strasburg has held this parade. Every year, Lampeter-Strasburg students and parents get very involved with the parade, especially with the band and every year the L-S high school and middle school bands march in the parade, playing patriotic music for all spectators to enjoy. Both bands marched the entire parade, starting at Clearview Avenue and ending at square, after a turn around at the end o town. In My Own Words In this installment of In My Own Words, Aliza Howe interviewed Miss Helena Protopapas who was a long-term substitute for Mrs. Meg Lau who was completing her Masters of Fine Arts this semester. I've had the wonderful opportunity to talk with Miss Protopapas, who teaches Design & Illustration this semester, about her experience here at Lampeter-Strasburg, as well as her moving to Japan. Miss Protopapas is a born artist. At only twenty-seven years old, she's been signed to Warner Bros., sold highly successful albums, and traveled the world as an artist and musician. She is the very essence of a free spirit. I feel blessed and incredibly fortunate to have her as my teacher; I've learned so much about creativity, confidence, and willpower from her that I can say with certainty that the experience of being in her class has thoroughly changed my life. What drew you so much to Japan? For weeks now, several Lampeter-Strasburg art students including Shannon Ferrari, Rachel Fish, Ashley Mellinger, Mercedes Gieger lead by senior Makenna Glessner have been spotted in the hall. However, they weren't cutting class. They have been busy with an art installation. This mural is based on a Sol LeWitt wall painting called Parallel Curves or Wall Drawing 999 and is combined with an abstract hand drawing by Lampeter-Strasburg student Makenna Glessner. Wall Drawing 999 was designed for the Lever House in New York, one of the first glass and steel International Style office buildings built in the United States. The drawing spans two walls on the building's second floor and is visible from the exterior courtyard. The sinuous web of wavy black bands on a white background provides a dramatic contrast to the building's formal geometry and uniform, grid-based design. In My Own Words In this installment of In My Own Words, Kenzie Lefever gives an overview of Girls' Lacrosse record season. For the first time in Lampeter-Strasburg history the Girls' Lacrosse team managed to make it to both leagues and districts. The girls team came to a bitter loss against Trinity for the first round of districts last Monday night with a score of 15-14. In My Own Words In this installment of In My Own Words, Julz Garber talks about her recent softball match against Northern York and the struggles of planning an unknown team. 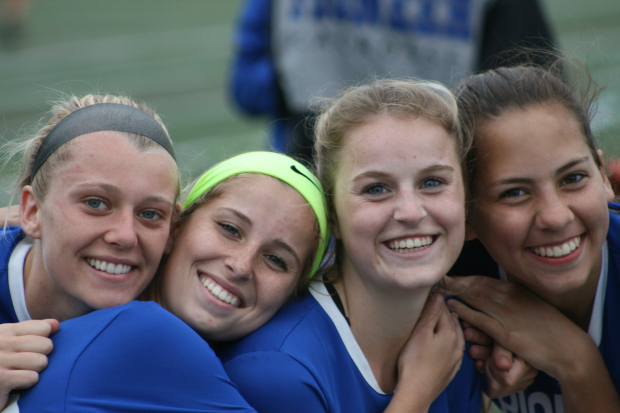 Going into the first round of districts, against Northern York, is never an easy task. You are playing teams that you never even heard of from who knows where. You can look at their scores of their games, but how do you know what to compare that to if you have never played the teams that they have played. So going into this first game, we are basically playing blind. The first inning was pretty standard, three up, three down. When it was our time to hit, the first two girls came up, had nice hard hits but both got out. This team obviously did their research, because the walked out next hitter, the best hitter on the team, because there was an open base. That girl stole second and now was in scoring position for the clean-hitter to hit her in. This past Saturday, the Lampeter-Strasburg Girl’s High School Volleyball team grabbed their sponges, soap, and towels and headed to Darenkamp's grocery store parking lot to take part in the annual car wash fundraiser. The forecast that day was not promising--low 60s and cloudy. Despite the uninviting weather, the car wash was a hit! With 13 girls and a handful of parents, the team split into washers and sign holders. The car wash officially began at 8:30 am. By 8:45 am, there was already a small line of cars. As the morning went on, the line grew bigger and bigger. After months of hard work and waiting, students at the high school received their yearbooks. Freshman are excited to get their first high school yearbooks while seniors are getting their last and most memorable edition. "The yearbooks are amazing and I love them.” says Emma Medlock, a freshman. This year people are impressed with the yearbooks and are excited to look through it and read all the stories. With only six days left in the academic year, students are happy to look back over the exciting year and have this permanent reminder. There are many fun and happy senior quotes about how their lives went in high school and how much fun they had. It contains many fun things and pictures from activities done by the whole school and by classes throughout the year. Earlier this month, the Lampeter-Strasburg Interact Club held a protein food drive for the Power Packs Project. The high school collected over 700 cans of tuna, chicken, and peanut butter. The Power Packs Project aims to improve the mental and physical health of the children in the program by helping their parents provide nutritious meals over weekends when the school breakfast and lunch programs are unavailable to them. Mrs. Cathy Lynch advised the Interact Club. Many people think of poverty as something that affects those in far off places. However, about 24% of people in our school district are at or below poverty level. For more information read our feature on poverty here at L-S.
Lampeter-Strasburg Community Closet, a non profit organization, was founded in 2015 to help those in our school in need. LSCC has accepted so many clothing donations from members of our community that they simply do not have enough room for any more clothes. 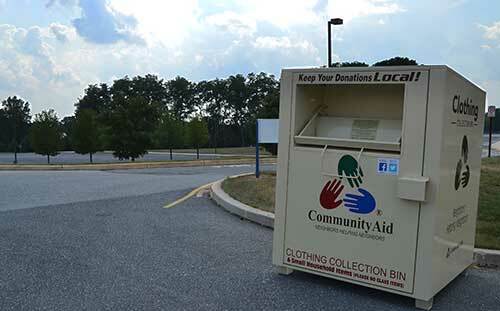 There are Community Aid bins on school campus located in between the middle school and the high school. Although many are unaware of the bins, the bins are emptied by Community Aid periodically. In return for the clothing and other items, LSCC receives gift cards to shop at their thrift store. The gift cards are then given to families who approach Lampeter Strasburg Community Closet in need of help. In My Own WordsIn this installment of In My Own Words, Delaney Funk talks about her experience at last weekend's Spring Blast put on by the PTO. On Saturday, April 13, the freshmen and sophomores kicked off the annual Spring Blast party with a bang! The party, held in the grand hallway, cafeteria, and wrestling room, welcomed the underclassmen students with several tickets, with which they could write their names on (or in my case, write Rick Astley on) and put into bags to be drawn for receiving prizes. Further into the madness, more fun could be found, such as the Wii and projector displaying space invaders, or the large “Candyland” table full of candies the students could put into brown bags to take with them. There was even a pro balloon maker, making crown, animals, swords and the like! Josh Nolt sets NEW triple jump school record of 44' 3" at Shippensburg University for PIAA track and field championships. Next week kicks off the annual Student Council sponsored Clash of the Classes event. Clash of the Classes is a week long event that is a competition in many different sporting and artistic events. The winning class gets Rita’s Ice. Typically held after the spring round of Keystone exams, it's a great way for the student body to celebrate a long semester of learning. 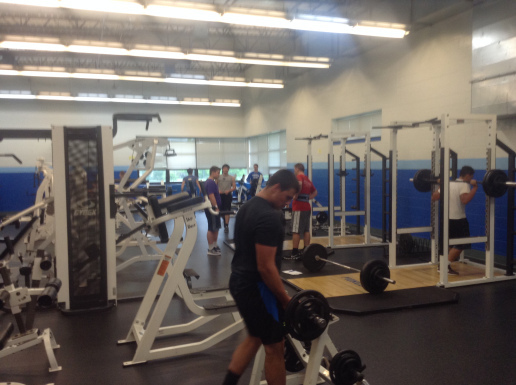 On Friday afternoon the student body will head out to the Football Stadium. There will be food and drinks to purchase and the competitive events. There is still time to sign up in the Cafeteria to help your class to victory! Some of the events include, sidewalk art, flag football, co-ed soccer, water balloon toss, whiffle ball, cupcake decorating, gaga ball, ultimate frisbee, trivia, pull-up contest, among others. On Tuesday, the Lampeter-Strasburg High School’s Thespian Society held its annual banquet and awards ceremony. The evening was hosted by members of the thespian society and began with the usual senior skit. The skit is performed by younger members of the society, to depict the journey of the seniors’ performing careers. The skit walked the audience through four years of singing, dancing, and acting. 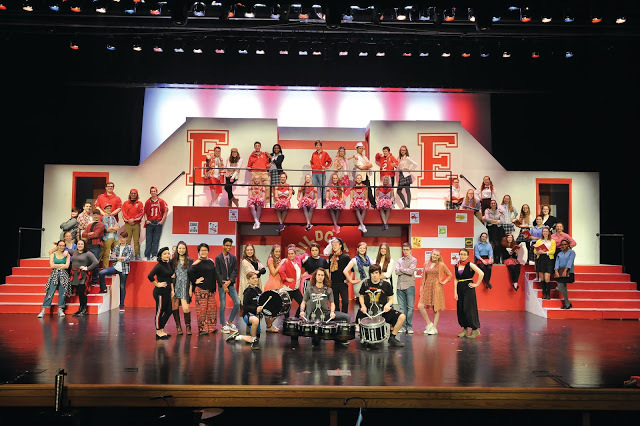 It began with the fall play of their freshman year, Love Rides the Rails, and ended with this past spring’s musical High School Musical. The skit showed everyone in attendance what happens behind the scenes of our high school productions. Following the skit, was the awards ceremony. Though this ceremony may not be what you expect. The gag awards ranged from Best on Stage Romance to Most Likely to be an NBA Star. After that, more serious awards were given out, including Best Actress and Best Stage Manager. 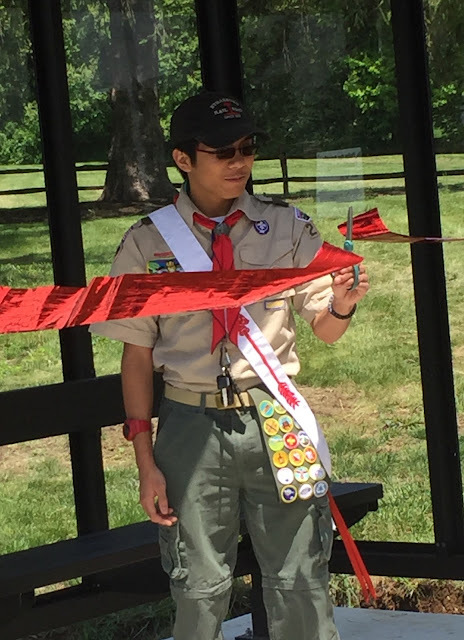 On Sunday, junior Lampeter-Strasburg student Gabe Miranda achieved the rank of Eagle Scout. His project involved building a bus shelter at his church. For any Boy Scout this is a significant achievement with only four percent of all Boy Scouts reaching the rank of Eagle. 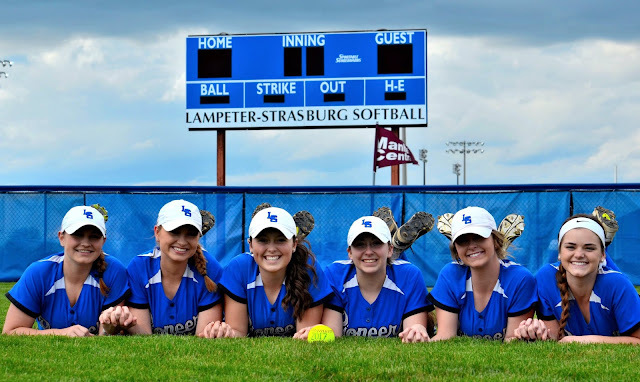 Last night, the Lampeter-Strasburg softball team lost a back and forth game against Solanco knocking them out of league playoffs. Solanco took control of the first three innings with an 0-2 lead built off of RBI’s. The Pioneers came rocketing back in the top of the fourth when Natalie Carson and Julz Garber started off the inning now giving the Pioneers a 3-2 lead. Solanco scored three as well that inning as well with bases loaded and a ball hit up the 3rd base line. Delaney Baker hit a triple in the fifth to bring Hanna Garber home. Baker was hit in by Delayne Groff. The fifth inning ended in a 5-5 tie. The Pioneers were left scoreless in the sixth inning and the Mares built off of that by scoring two more runs to end the sixth. Sadly, L-S scored nothing once again in the seventh ending the game 5-7 with a Solanco win. Solanco now goes on to play Hempfield’s Black Knights in the championship game. “We gave them too many second chances,” Pioneers’ head coach Gene Charles stated. 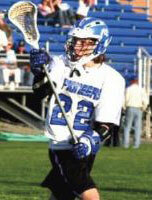 It's been ten years since Ryan Weitzel lost his battle with cancer. To commemorate Ryan's memory, the Varsity Club has created this Remembering Ryan video. In it, faculty and former students share Ryan's story, his impact on the Lampeter-Strasburg community, and why we continue to honor him. The Varsity Club hopes that you will find a few minutes to watch this video. Each year the Lampeter-Strasburg community gathers for this 5k to raise money to fund two scholarships that honor graduating seniors who embody the characteristics that Whitey was known for: courage, selflessness, and positivity in the face of adversity. Everyone is invited to participate in this year's 5k and Kids Fun Run on May 20 to support a great cause! This year's race is a road race with professional timing. 5k begins at 8:30AMKids Fun Run begins at 9:30AM You can register here and see the new course map. Registration for the 5k is $30 with a t-shirt or $20 without a t-shirt. Today, Mr. Jeff Houck's third period Introduction to Law class was visited by two Special Emergency Response Team (SERT) members. They brought with them their $250k+ military style armored vehicle Bearcat, which was parked behind the wood shop by the high school. Who will be crowned 2017 prom queen and king? This year’s prom court consists of seven girls and seven boys. The candidates were nominated by teachers and staff for their participation in class and extracurricular activities, positive interactions with peers and staff, and commitment to excellence. Candidates for Prom Queen Alyssa Cunningham, Mercedes Geiger, Isabel Gleason, Jaclyn Kuro, Sammi Pletcher, Lianna Sauve, and Kaela Witmer. Candidates for Prom King Gaige Barber, Josh Beiler, Andrew Lines, Matt O’Neil, Matthew Paich, Aron Possler, and Joey Shiffer. Voting will take place at the prom by those in attendance. Prom is this Saturday, May 13 from 5-10 pm at the Lancaster Marriott at Penn Square. Prom King and Queen will be crowned that evening.